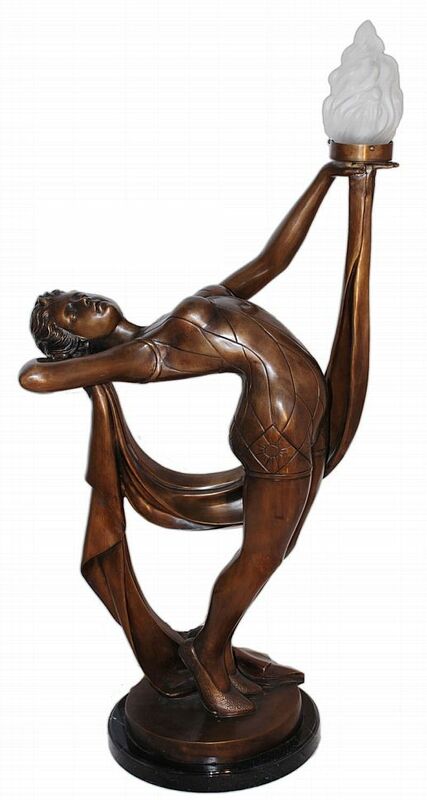 Enchant the foyer or the hallways with inspiring floor lamp sculptures and torchieres like this graceful ballerina woman following the art nouveau look. Dimensions: 51"H x 18" x 13"
Normally ships in 1-2 weeks if in stock. If you need this produced for shipment to you if not in stock, please be advised there is a 50% deposit we need to make to the factory to commence production. Delivery is 12-16 weeks because it ships via sea freight.